For a player as outrageously gifted as Günter Netzer a paltry 37 caps for West Germany is scant reward for his terrific career. In order to get the best out of this maverick genius though, you had to build the team around him and that wasn't something West German national team boss Helmut Schön was prepared to do. The notable exception of this was the 1972 European Championship in which Netzer played a key role in his side's victory in the tournament. Born in Mönchengladbach on September 14, 1944, Netzer would go on to have his greatest success in club football with his hometown side. Joining Borussia Mönchengladbach at age 19 from local rivals 1. FC Mönchengladbach, for whom he had played his youth football, Netzer debuted for the side in 1963 and quickly became a fixture in the first team squad. 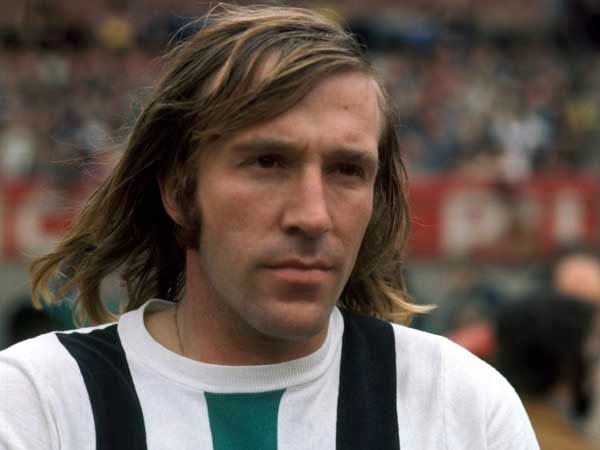 Helping Mönchengladbach to promotion to the Bundesliga in 1965, Netzer was at the heart of one of the finest sides Die Fohlen (The Foals) have ever produced. Ironically enough their future rivals for domestic supremacy, Bayern Munich would gain promotion in the same season and thus kick off a decade of intense competition between the two sides. Under the attack minded coach Hennes Weisweiler, Mönchengladbach went on to win the title in 1970 and 1971 with Netzer complimented in the side with great players like Bertie Vogts and Jupp Heynkes. 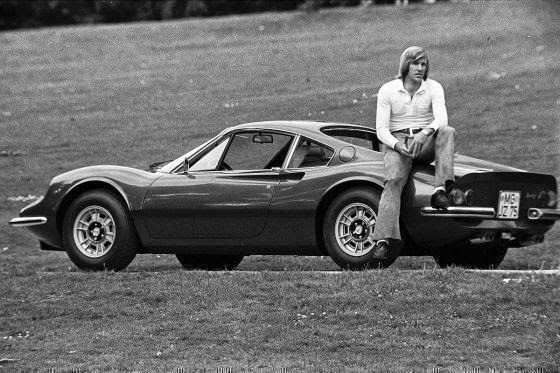 With his dashing style on and off the pitch, his long hair, and love for fast cars Netzer was loved by female fans as much as he was admired by male supporters. Although he didn't quite have the international career he perhaps should have had, thanks in part to the steadier Wolfgang Overath being often preferred to him in the West German midfield, a performance of his at Wembley in 1972 became that of legend. Going into this European Championship Quarterfinal tie, no German national side had ever triumphed on English soil against the Three Lions. 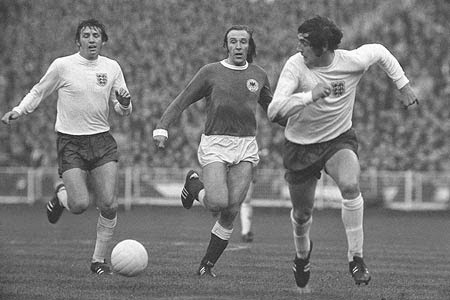 In a performance for the ages, Netzer tore England to shreds as West Germany triumphed 3-1. Scoring one of the goals himself from the penalty spot, Netzer was at the heart of nearly everything positive that West Germany did that day. As mentioned earlier he would help West Germany to the 1972 European title, but would play little part in his countries World Cup triumph in 1974. A strongly opinionated character, which later surfaced even further in his media work, at club level Netzer eventually fell out with the equally strong willed Weisweiler and pushed for a move away from Mönchengladbach. Before leaving his home town side though, there was an incident that forever defined him in the 1973 German Cup Final against Cologne. With Netzer left on the bench and the score knotted at 1-1, he subbed himself on in extra time, telling his stunned coach "I'll go and play now" and promptly scored the winner against his club's arch rivals. 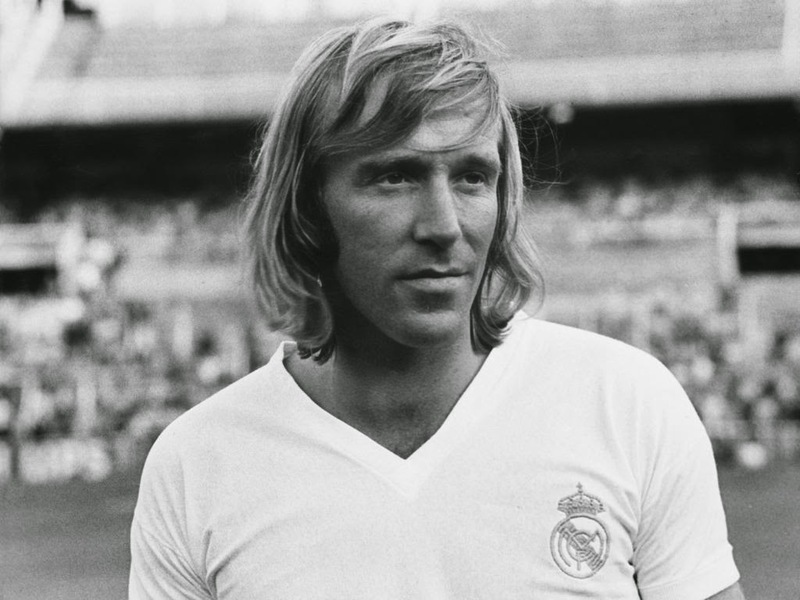 Netzer would leave that summer for Real Madrid where he would join up with West German teammate Paul Breitner and go on to win league titles in 1975 and 1976, before ending his career with Grasshopper Club Zürich. Although his post playing career has seen him find success as a General Manager of Hamburger SV, a business man, and a media pundit, it's his impact as one of the first stars of the Bundesliga and a true brilliant maverick that people will always remember him for.